Looking for a break away from Britain? Whether you’ve been skiing since you were small or contemplating your first ski chalet holiday experience, thousands of British skiers head for the slopes in France every year for an exhilarating, memorable holiday. Skiing in France offers a huge range of skiing experiences, from beautiful French villages where the locals ski in the winter and graze their cattle in high pastures in the summer to modern lively resorts where people of all ages ski hard then indulge in well-deserved ‘Apres-Ski ’(literally “after ski”) in the resort bars. 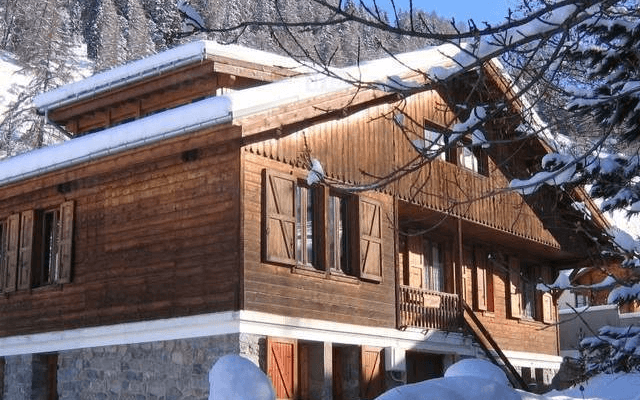 The best type of accommodation to enjoy skiing in France to its fullest is by staying in a catered chalet – where you will be wined, dined and looked after by your chalet host (or hosts) for the duration of the week. You will typically receive a cooked breakfast, afternoon tea and a 3 or 4-course evening meal, with free wine, for 6 out of the 7 nights. The chalet staff usually have a day and a night off on a Wednesday or Thursday, which allows you and your group to sample the local food in a restaurant nearby. France is such a popular skiing destination with British skiers that about one third of British skiers take their holiday in France. France has so many different sectors to offer every level of skier, and caters for all types and pockets from the après ski level to the chalet accommodation. France has the biggest lift and piste network in the world and many of the resorts are at high altitude offering a long season of very reliable snow conditions. Not all the French resorts offer the traditional chalet style ambience of pretty village streets with old buildings of rustic grace – but there is a very good reason for this; many of the purpose built mega-resorts, built in the 60’s and 70’s, are positioned in mountainsides that offer massive unrivalled linked ski regions. And this was no mistake. Some of the ski areas in France are the best in the world offering the full skiing package on every level – value, choice and excitement. The newer chalet developments in the French Alps however are all built to strict environmental regulations and are generally built in traditional chalet style. The main and most popular ski areas in France are The Three Valleys, L’Espace Killy, Paradiski, The Portes du Soleil, The Grandes Alpes, The Massif du Mont Blanc, Le Grand Massif and Espace san Bernardo. The Chamonix Valley which include Chamonix, Brevent, Flegere, Argentiere, Le Tour and Les Houches. You can get to French ski resorts by car, train or aeroplane. Most skiers fly to their destination so they get the maximum amount of ski time for their holiday. Most British airports offer flights to France and there are a range of French airports close to ski resorts, which means less travel time for you. Fly to Grenoble, Chambray, Lyon or even Geneva in Switzerland. ‘Resort transfers’ (how to get there from the airport) can be arranged before you travel. You will travel on a coach along with other skiers heading off the mountains. A Beginner’s Guide – What do you need for a ski holiday in France? Waterproof, warm clothing, which usually includes salopettes, jacket, hat (helmets can be hired), goggles or sunglasses (the glare from the sun on the snow can damage your eyes), gloves. Skis and ski sticks or snowboard (hire them in resort but book them in advance if you can). A lift pass so you don’t have to climb up the slopes (again, try to book in advance)! Travel insurance that includes a relevant ski package that suits your itinerary. Try to get fit before you go – the stronger you are the more you’ll be able to do but don’t worry if it doesn’t happen you can take the days leisurely and stop for frequent ‘vin chaud’ or ‘frites’ in the many mountain restaurants. You need to know that the ski areas have designated ‘pistes’ (slopes), which are graded on their level of difficulty: Green (easiest), Blue, Red and Black for experts. ‘Off piste’ means venturing into terrain that has not been groomed or checked for safety so you only do so at your own risk! The lift systems in resorts are usually fully operational from November to May but some resorts offer summer skiing too, such as Tignes and Les Deux Alpes, which has glacier skiing all year around. Some skiers sneak a few weekends away over the season and others enjoy two weeks or more in resort but the majority of skiers enjoy one week on the slopes every year. Catered chalets in ski resorts are an increasingly popular choice for skiers. They are the romantic idea of ski accommodation. A catered chalet comes with its own host who keeps it tidy, bakes cakes for your return from the slopes, cooks your meals and is happy to alter meal times to suit you. He/she might even let you borrow his/her sledge! Larger chalets have more than one host and smaller chalets might be able to accommodate just your party. A hotel-stay can include just breakfast (B&B) or breakfast and evening meal (half board) or three meals a day (full board). Staying in a hotel means that you don’t have to plan your meals or even think about washing up! There are a range of self-catering options throughout the French ski resorts, some in apartments and some in chalets. Self-catering options mean that you can enjoy the resort supermarket experience and eat out in the range of local restaurants. Be prepared though to spend more than you would at home especially whilst the Euro is strong. If you drive to resort you might want to pack a few bags of pasta and snacks. The Apres ski begins on the slopes in many French resorts. This of course continues in the resort and if you are up the party continues into the early hours in resort bars and nightclubs. France is one of the best countries to go on a ski holiday as the many excellent resorts are geared specifically to winter sports holidays. The main resorts have a huge range of accommodation and the ski resorts in France themselves have superbly groomed pistes and fantastic mountain restaurants. Try the 3 Valleys, L’Espace Killy, Paradiski or the Portes du Soleil – all major ski arenas in France. Awesome post. Thanks! Keep it up.